I managed to do some reading while we were away. Some mountaineering classics: Maurice Herzog’s Anapurna; Joe Simpson’s Touching the Void. A couple of volumes of John Wesley’s Journals: always racy, fascinating, inspiring- and at times quite bizarre. And quite a lot of fiction including a fair number of children’s books. 1. Many works of fiction are clearly dangerous simply because they’re full of ugly and wicked things. Should a Christian really entertain himself with pictures of violence, lust, cruelty, immorality? I know that I’ve read books which have left me feeling damaged and dirtied. Once you’ve read something, you can’t un-read it! It’s there in your mind and imagination from that day on. 2. Many works of fiction are dangerous, because built into the story-line is an ungodly and false message. Take the example of love stories. Countless “romances” – from Mills and Boon to Wuthering Heights have preached the message that what matters most in human life is the experience of “being in love”. Wuthering Heights might be better written than the average Mills & Boon, but they’re both pushing the same message at their readers – and it’s a message that runs flatly against God’s Word.. In the end, Catherine belongs in life and death to Heathcliff because they’ve shared the one supreme passion of “being in love”. Catherine may be married to Edgar, but her real soul-mate is Heathcliff and she will belong to him forever. Of course, many Christians will say, “Oh, I don’t bother about the message. I just enjoy the story!” But the fact is that all the time they’re being conditioned by what they’re reading. The way they think, the way they react to situations will be coloured by the message they’ve been absorbing from the books they’ve been reading. Dabney takes it for granted that Christians will avoid books that fall into either of these two classes. It’s surely unthinkable that Christians will deliberately fill their minds with material that’s corrupt in its content or its message. Dabney’s right isn’t he? When we look at many novels – even great novels – and ask ourselves, “are these characters true to life?”, we’re forced to admit that most of them are like no-one we’ve ever come across in the real world. Do you really know any man as cultured, compelling, masterful as Mr Rochester? Mr R would never spill tomato ketchup onto his shirt, leave the top off the toothpaste tube, lose his temper with the children over breakfast or forget to pick his wife up from the dentist. But in the real world, men do. If a woman goes through her life looking for a man like Mr Rochester, or Maxim de Winter, she’ll finish up very disillusioned and very lonely. It’s not just adult novels that have that problem. Think of Arthur Ransome’s Swallows and Amazons series. Have you ever met a teenage lad as courageous, noble-minded, and responsible as John? You can’t imagine him ever doing anything dishonourable or mean, can you? John Walker would never let down a friend. But in the real world, even your closest friends do let you down. I love Ransome’s books because they’re inspiring, wholesome, clean. Children who model themselves on the Ss, As and Ds may be better for it. But children who expect to find real-life Johns and Susans are going to be sadly disappointed. Secondly, Dabney warns us that reading fiction will damage our emotional capacities. As he says, “the purpose for which fictions are read, and the drama is frequented, is to excite the attention and the emotions. They must be animated and full of incident, or they will not be read”. So the reader is constantly having his emotions caught up with imaginary people and imaginary situations. In the real world, our emotions are stirred by events around us – and then those emotions push us into action. If I see someone suffering, I feel compassion – and I have the responsibility to do what I can to help. But when I lose myself in a novel, I have the luxury of wallowing in compassion for imaginary people – and not needing to do anything about it! Thus, Dabney says, the novel reader “becomes at once sentimental and inhuman”. If I spend my time absorbed in the unreal world of fiction, I become sentimental, constantly swayed by superficial emotions. But I also become inhuman. The more emotional energy I squander on an unreal world, the less I’ll have for the real world in which God has put me. Is Dabney right? Well I can’t deny that there are lots and lots of people who have been damaged in just the way he describes. It’s true of many fiction-readers, it’s true of many soap-opera addicts. They’ll break their hearts over an imaginary character in a soap, but feel no pang of pity for the housebound old lady across the road. All the emotional capacities which God has given them have been misdirected into an imaginary world. Well, there you have Dabney’s reasons for rejecting all fiction. It’s not all full of evil images; it’s not all calculated to preach a godless message; but it’s all untrue to real life, it all damages us emotionally, and it’s all a waste of precious time. Take his reasons seriously. If he’s right, then we have no choice. We must clear off our shelves all those Mills & Boon books, all those Penguin Classics, all those Agatha Christies, and yes, all our children’s fiction – all my treasured Biggles, Williams and Billy Bunters. And for that matter, all our videos and DVDs. They weren’t a problem in Dabney’s time, but all his comments apply to them as much as to books. If I’m going to carry on reading fiction, I have to be able to say, “The fiction I read helps me to see the world and understand people more clearly, not less”. I have to be able to say, “the fiction I read helps me to respond with more godly emotion to the real world, not less – and then to act accordingly”. And I have to be able to say, “The fiction I read is not a waste of time. It does me positive good”. It’s not enough for a Christian to say, “it does me no harm”. I have to be able to say, “I believe I’m a stronger, wiser, more Christ like Christian as a result of reading these books”. If I can’t say that, I’m better off not reading them at all. Can I say those things? I think I can. I’ve wasted huge swathes of time over the years reading things that have done me no good. 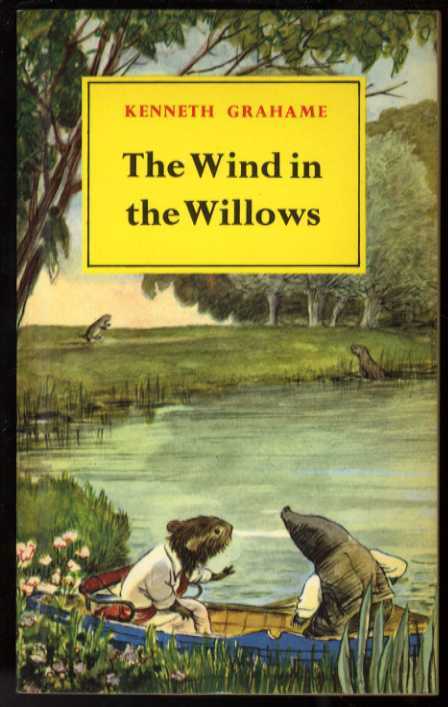 But I believe I’m a more thankful Christian for reading Wind in the Willows. It teaches me to rejoice in God’s everyday kindness; was there ever a book that rejoiced so much in the blessings of home? I believe I’m a wiser pastor as a result of reading Watership Down. It helps me understand the importance of Christian freedom: how easily a pastor can become Woundwort, and a church become Efrafa! I believe I’m a better judge of character because I’ve read Just William and the rest. Through Richmal Crompton’s eyes, I can see that much more clearly my own, and other people’s follies and hypocrisies. And I believe I love the Lord Jesus more through reading Shane. In its pages I catch a far-off glimpse of the love of Christ. Greater love has no man than this, than to lay down his life for his friends. “Let each man be persuaded in his own mind”. I can’t tell another Christian whether he’s right to read an occasional work of fiction, or whether he’d be better to lay them all aside. But each one of us must be prepared for the Last Day when we shall all give account of the way we’ve spent our time, our energy, our resources. “Be happy, young man, while you are young, and let your heart give you joy in the days of your youth. Follow the ways of your heart and whatever your eyes see, but know that for all these things, God will bring you to judgement” (Ecclesiastes 11:9). “Whatsoever things are true, whatsoever things are honest, whatsoever things are pure, whatsoever things are lovely, whatsoever things are of good report, if there is anything excellent or worthy of praise, think on these things…” (Philippians 4:8). « A book that changed my life!